Peter Bryer: Mobile Foresight: Get ready for BlackBerry's "Segafication." Prediction: BlackBerry will soon announce their hardware departure. Get ready for BlackBerry's "Segafication." Prediction: BlackBerry will soon announce their hardware departure. There's gold, there's silver, there's bronze, and then there's a patronizing pat on the back. Nobody remembers the fourth-place finisher. In January of 2001, Sega announced they were leaving the game console business to focus on software. Although the company's Dreamcast console was considered by some to be the best gaming device ever made, the "rule of three" was a force too strong to fight: there was Sony, there was Microsoft, and there was Nintendo. Sega's board of directors certainly had a difficult decision to make at the time. Sega's hardware was loved by devout followers, but Sega suddenly found itself competing not just against its compatriots Nintendo and Sony, but by newcomer Microsoft, a company that was known to have the patience of Job when it came to RoI. 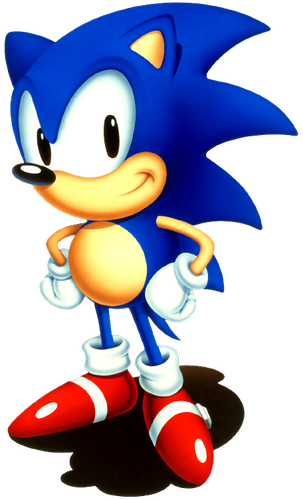 Sega was in the fortunate position of having strong, established sub-brands, mainly Sonic the Hedgehog. Such well-known characters could port well to other platforms. Within the coming quarters, some big-name smartphone vendors will begin to acknowledge the rule of three. This is conjecture on my part, but I believe the first will be BlackBerry, which will, like Sega, announce that they will leave the hardware business to become a third-party software publisher, providing secure enterprise messaging software and services via its now eponymous platform. There will be boos and jeers from the audience, but this isn't the breakup of the Beatles. This isn't a boxer getting out of the ring while at top: BlackBerry is fading fast with new product and platform iterations being greeting with indifference at best. So for screaming BlackBerry fans, get mentally prepared for the Segafication of your love. BB will be IBMified, and there's not much that can be done about it at this point. The game is over for the iconic BlackBerry QWERTY device. Time for the next level. Will BlackBerry soon be Segafied?